When you are at our coffee shop you will not miss our Eleni. Eleni is always around. She joined the Co-operative 4 years ago, replacing her mother. Ever since then she prepares our marmalades and sweets such as biscuits, cakes and baklavas. Her smile lights our days. Eleni is from Ikaria. She grew up here and she is married to an Ikarian man and has created her family on our beautiful island. She’s determined not only to keep to the traditional cultivation of fruits and vegetables but also to preserve and promote the old recipes of the Ikarian kitchen. 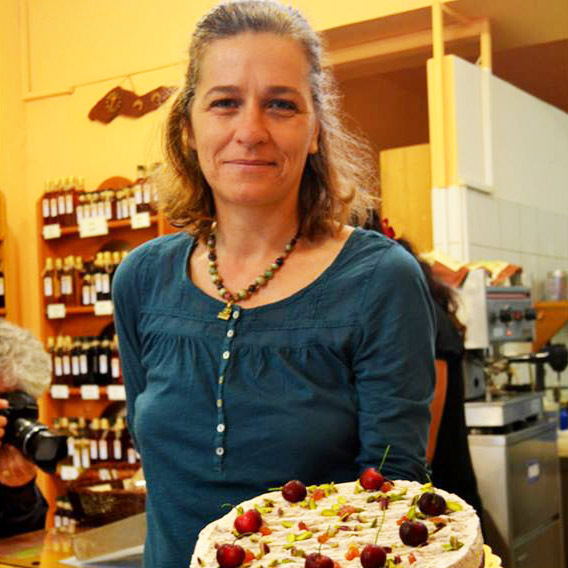 Eleni likes to share recipes with our clients but above all with next generation of Ikarians. Eleni shares with everyone her belief that nature needs the care of our hands and that we must not forget where we come from. Gabi is also one of the dynamic forces within our Co-operative. Her goal is to expand the business by creating a professional kitchen so that we can export our products. The idea to reinforce the cooperation with local producers of fruit and vegetables in order to produce more products of high quality comes from her heart. She believes that through this work it is possible to create dynamic jobs in Ikaria which will especially help young women to make a living on the island. In her free time she makes the wax creams that you will find in our shop with the brand name Matzouni. Tula is one of the founding members of the Co-operative. She used to live in Athens and decided to come back to Ikaria with her family. She’s involved in all activities of the Co-operative. She became a member of the Co-operative because she loves teamwork and cooperation. In her free time she makes soap that you will find in our shop and that will help you remember the scent of Ikaria. 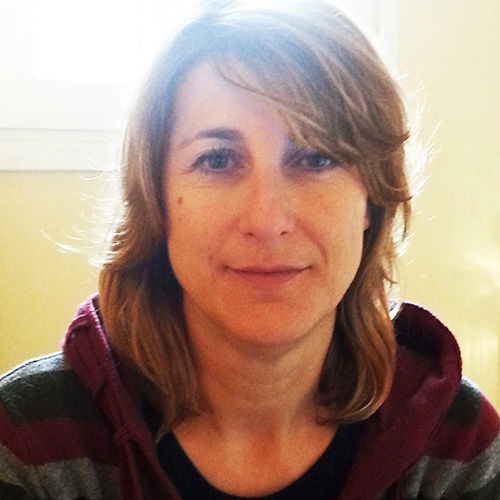 Maria is another founding member of the Women’s Co-operative. Her love for the traditional, alternative way of life drove her to participate in this venture. In her free time she is busy with the traditional art of weaving on a hand loom making woven products you will find in our shop. 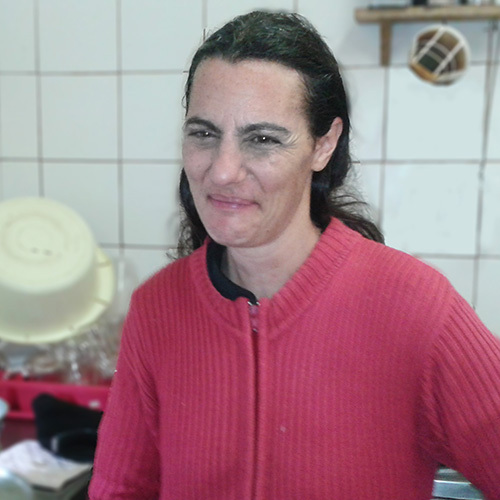 Silke is from Germany and came to Ikaria more than 20 years ago. She fell in love not only with the island but with a man from Raches. She has lived here ever since, she has two children and she is one of the founding members of the Co-operative. She provides some of the recipes for some of our famous cakes. During the winter, when time slows down, she likes to paint and produces the beautiful post cards that you will find in our shop. Olga is one of the founding members of the Co-operative. In the beginning she became a member with her talent for wood carving. When the need increased for more hands in the kitchen, Olga joined the production team. Her specialty is the making of savory pies but she also participates in the preparation of sweets, marmalades and anything else necessary such as collecting fruit and herbs. Thekla is the newest member of our Co-operative. She used to live in Athens and recently came back to live on our island. With her background as an accountant and using her knowledge of finances, her ideas contribute to the better organisation of the Co-operative. She’s determined to help with the continuation of our work and make our dreams even more attainable. Her hobby is making candles.